A Standout in the Western Suburbs! Experience true comfort at the full-service Crowne Plaza Lombard Downers Grove. Each one of our luxury boutique hotel's 119 tastefully designed guestrooms (King Superior, Double Superior and King Suite) are appointed with a rich blend of nature's colors and textures, and come complete with a fine array of lifestyle amenities for both business and leisure travelers. Your event deserves the very best. 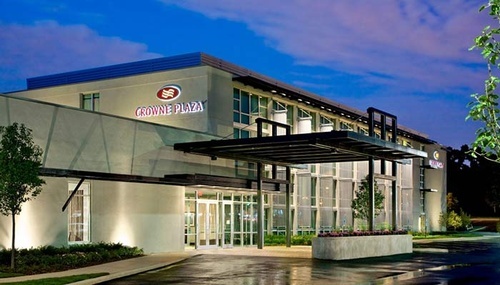 Experience an incredibly beautiful event venue and banquet hall at the full-service Crowne Plaza Lombard Downers Grove hotel. We offer two sizeable ballrooms. The Fields Ballroom is 3,800 square feet and can accommodate up to 220 guests while the Plains Ballroom is nearly 2,700 square feet and can handle up to 180. Our staff will make your special day unforgettable.